The Mojo Thrasher provides intense surface ripples, natural water sounds and current! Below water, the Thrasher’s propeller pushes serious motion to the water’s surface. 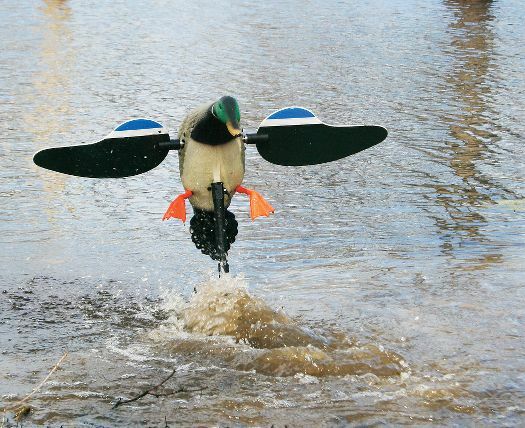 Mount a Mojo duck decoy (not included) to the unit and you have eye-fooling, in-flight action. 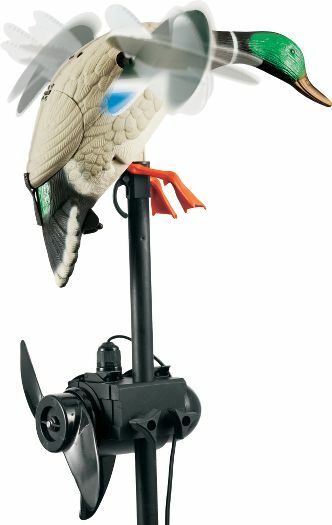 When set up for intense surface ripples the propeller pushes water towards the surface giving your decoys life like motion and helping to keep ice out of your hole on those frigid hunting days. The Collar and support pole adjust for use in water up to 3-ft. deep. Runs on a 12-volt marine battery (not included).